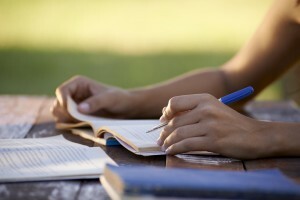 Can’t decide what course to study? Here are some things to consider! It’s a great time for some summer work experience! For some people choosing their career path is a simple, straightforward thing to do, they’ve been long waiting for this moment, because they’ve always known what they want to do! But there are some of us who are not that lucky and that makes choosing the right course a very challenging process which requires a lot of time and resource. For many of us, summer is the time we spend away from education and responsibilities; it’s our reward for having worked so hard throughout the year. And even though the thought of spending these three valuable months preparing for your future career might not seem like the ideal situation right now, graduating will bring a whole new perspective on this issue. To begin with, I would like to introduce myself to you. 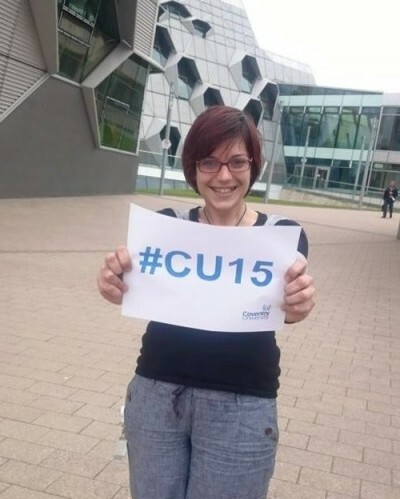 My name is Tereza, I am from the Czech Republic and I study BA (Hons) Advertising & Marketing at Coventry University. I have just finished my first year and I decided to guide you through my first year and every important aspect that I have learnt during my stay in United Kingdom. Have you thought about how the United Kingdom is likely to have a different culture, traditions and values from your country? 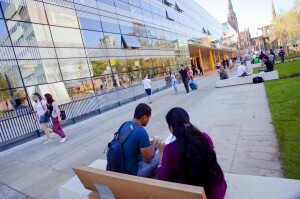 We know this will be very exciting for you as you will get to experience lots of new and different things while your here studying at Coventry University.We want to help you to think about how life in the UK may differ from your life at home, whether that’s the food, weather, language or people. To help you prepare for life in the UK, we’ve put this fun and interactive quiz together to help you learn more about British Culture. Congratulations to Coventry University and Congratulations to us! When I woke up yesterday, my Facebook news feed seemed to only contain one story: Coventry University is rising! I was happy to see that my friends are as proud as I am to be studying in a university which is now ranked 15th in the Guardian League Table of Universities. Aleksejs, a BA Sport Management student from Latvia, has successfully gained the role as a Football Coach at Coudon Court FC. 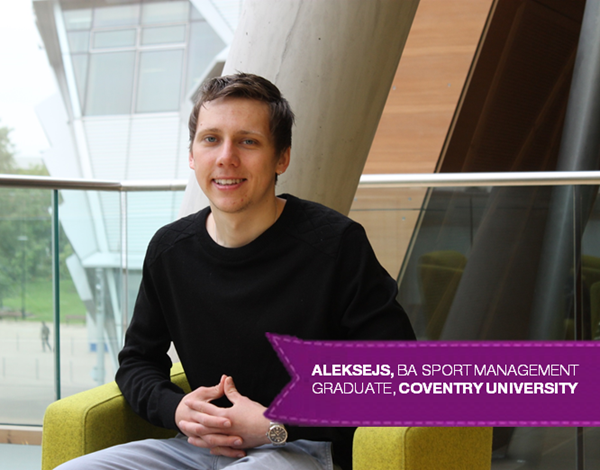 Aleksejs has always had a strong passion for sport and thanks to the skills and experience he gained at Coventry University he has now settled into his dream career. You’ve arrived in Coventry. What’s next? So you’ve already gone through all of your stuff and decided what to take with you to Coventry University and what to leave at home, you’ve packed everything and have now unpacked it in your new home in Coventry. So, what happens next?! Moving away from the familiar comforts of your home country to an entirely different cultural or social environment can be hard. While everything about the new culture will delight and stimulate you upon your arrival, there are some things that might take some getting used to.